We’ll bring the pies… and the Remote Power Points! Who doesn’t love a good pie on a cold August morning? Well we definitely know the Tradies of Brisbane do as they stopped by Haymans Electrical at Milton for their weekly Friday Pie. TecHome were invited to showcase our range of control products at the Haymans Milton pie morning. Sales Executives Nick and Peter went along armed with a large box of Pie Face goodies as well as our Outdoor Remote Control Power Points. Haymans’ customers love the TH591-Outdoor Remote Power Point for the added feature of the multi-channel remote control, along with the manual control function and no line of sight operation. Perfect for a wide range of applications and with a number of innovative features, the Outdoor Remote Power Point is a must have for Haymans customers. Interested in the TecHome Outdoor Remote Power Point? 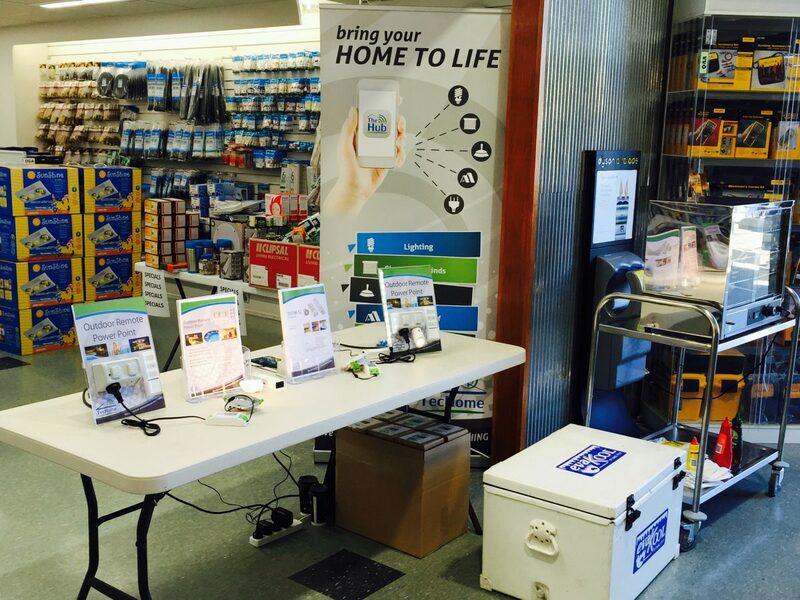 Drop in to your nearest Haymans Electrical store for your special Trade Discount price.